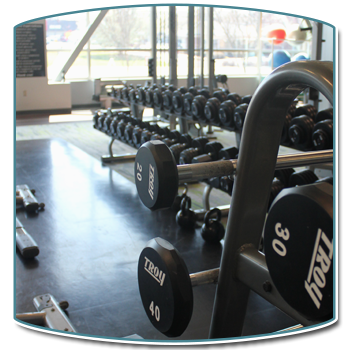 At Powell Wellness Center (PWC), the personal training department’s mission is to empower and educate members of our community to enhance their lives through individualized fitness programming. Whether you seek to lose weight, increase muscle tone, boost sport performance, or improve your overall health and wellness, a PWC personal trainer can design a program to best meet your goals. PWC’s nationally certified personal trainers will customize your exercise routine to serve you. 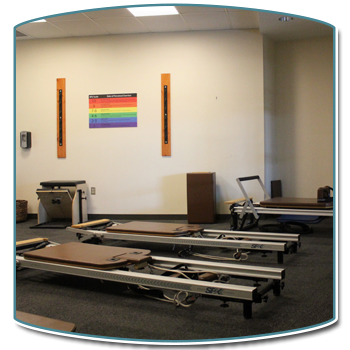 Our trainers assess your current level of fitness, taking into account any physical challenges or limitations, create a personalized plan, and implement a program to meet your needs. 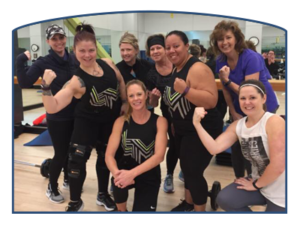 There are several flexible personal training package options for either 30-minute or 60-minute sessions for individuals, partners, and small groups. If you’d like one-on-one support or the fun of working out with a friend, choose an individual or partner session with one of our trainers. This arrangement offers you the flexibility of setting up a session that works with your schedule and choosing the number of sessions that fit your needs and goals. A small group training plan is one of the best ways to encourage you to maintain your training regimen. Whether you’re trying to lose weight, get in shape, maintain your form or figure, or achieve another goal, one of the keys to any exercise plan is consistency. However, the challenges of exercising sometimes can be daunting. Fortunately, working out with a small group can help you track your progress, maintain your efforts toward accomplishing your goals, and have a lot more fun as you train than you would if you exercised by yourself—and small group training is easier on the wallet compared to private training sessions. So grab some friends and work out with us! Born in the Navy Seals, TRX Suspension Training is a revolutionary total-body fitness program that uses gravity against the individual’s own body weight to simultaneously develop strength, balance, flexibility, and core stability. It requires the use of the TRX Suspension Trainer, a portable performance training tool that leverages gravity and the user’s body weight to complete hundreds of exercises. Pilates, created by Joseph Pilates, is a form of exercise that focuses on balance of the body to gain strength and flexibility throughout the whole body. The main concept that Pilates is designed around is core strength. Your core muscles are the deep, internal muscles of the abdomen and the back. If you’ve never taken a Pilates class or seen one in action, you may not be aware of what it’s like. Pilates is low impact with an atmosphere that is similar to yoga. It’s very slow-paced, relaxing, and requires full concentration. Breathing technique is very important while doing this kind of exercise. There are many benefits to Pilates, including increased flexibility, increased coordination, and decreased stress levels. This exercise program can be done by almost anyone. Make the water your gym! Aquatic personal training can help push your workouts to another level, so that you can achieve your weight loss, conditioning, or rehabilitation goals. Our qualified personal trainers will customize an exercise program just for you to obtain lasting results and the health benefits of training in the water. Yoga therapy helps with rehabilitation from injury or surgery; reduces physical, mental, and emotional imbalances; and promotes flexibility, range of motion, and self awareness and mind/body connection. Private and small group sessions are available. 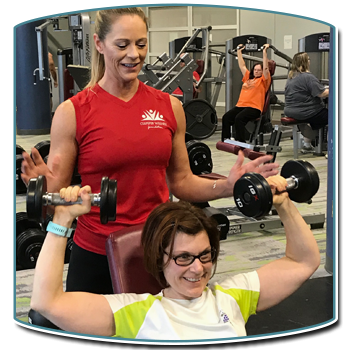 For more information about any of our personal training services, contact PWC Fitness Manager Patrice Barklund at 540-445-5395 or pbarklund@culpeperwellness.org.